The hiring process can be an extremely tiring one if you do not approach it with the right attitude. Not only do you have to complete all your regular work on top of the recruitment process, but you also need to find the time to go through all the applications too so you can find the best people for your business. To speed up the process, you should definitely consider using an executive staffing agency for your next hire. Let’s look at some reasons why. You always want a new hire to have some idea of the industry you are in and an executive search firm can guarantee that they will find someone to fit this brief. They know both the industry and the market inside and out. 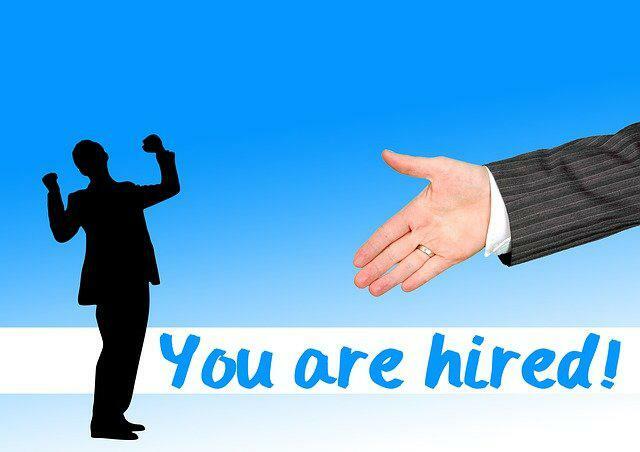 This allows them to reach out to avenues you might not have considered before and possibly head hunt people for you. For example, the executive staffing agency TruPath have succesfully placed more than 10,000 people in new roles because they spend time learning about each organization and the market they’re in in order to find the best person for the role. Whether they are speaking to a consultant, or actually actively attempting to head hunt someone for you, they know exactly where to look to find you the best talent on the market. One of the big advantages to using an agency is that you will only see applications from those the agency deems to be the best fit for your company. You don’t have to sit and skim through a massive pile of applications to find the perfect one for you as that has already been done. What’s more, you may not even have to organise the interviews. Simply provide the agency with some time blocks where you are free to conduct interviews and they will be the ones to schedule each interview and notify the candidates. All you then need to do is read over the applications and arrive to meet your prospective hires. In addition to the application process, an agency might have a few more resources available to them. They may have some sort of basic psychometric tests which they require applicants to run through before they are hired. Tests such as these might be outside the remit of your in-house application process but they can provide some valuable data about your candidates. If you are looking to hire a certain type of person for a role, seeking an agency who uses these kinds of tests may help you come a little closer to hiring them. Finally, you should consider not just using an executive staffing agency for your next hire, but also using one for every hire after. Every time that you return to them, they will get to know you and your preferences a little better. It is extremely beneficial to build relationships with other businesses in this way; partnerships like this will only be good for you and the future of your business. If you are looking to add to your workforce in the coming months, consider forming a partnership with an executive staffing firm. Who doesn’t want access to the best applicants out there?